At Everyday Hearing our #1 goal is to provide you with the most up-to-date and honest hearing healthcare information online. Finding reliable and genuine hearing aid information online can be a challenge. 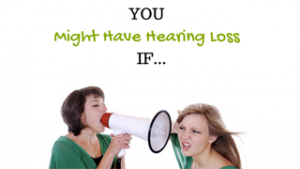 We aim to serve those with hearing loss who are looking for an independent, unbiased resource. Our staff consists of an Audiologist who has several years experience in hearing diagnostics, as well as recommending and fitting a wide variety of hearing aid brands on all levels of hearing loss, as well as a Professional Engineer with a strong background in technology. When we review and make recommendations for hearing aids and other hearing technology, we do so based on experience fitting the products on patients, reading the research behind the products, by gathering the opinions and reviews from other hearing healthcare professionals, and/or by using/testing the products ourselves. We also happily receive input from our Everyday Hearing readers, and provide a “user rating” section on our hearing aid reviews for this purpose. Unlike many of the other hearing aid resources online, we are an independent company. We are not compensated by any product manufacturer for our reviews, and when a product is provided to us at no charge, we clearly state that in our review. We aim to provide an unbiased and up-to-date opinion of the hearing resources available to those with hearing loss. We understand hearing healthcare and hearing technology and want to provide help and advice to people with hearing loss. Read more about us here.